Philly has lost some legends in the hot dog game over the past few years — RIP Texas Wieners — but our bars, restaurants and food carts are still grilling up some great dogs. Here are some of our favorite places to get them. 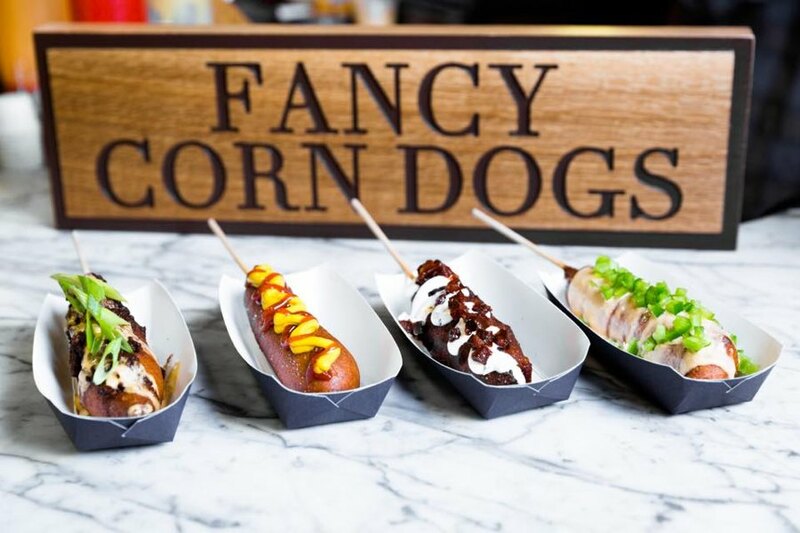 Okay, so there’s no bun, just a golden cornmeal batter — but Fox & Son are the makers of one of our favorite dogs around the city. Get yours plain to dip in mustard or topped with cheddar sauce and jalapenos or chili. Kiki Aranita and Chris Vacca started out selling Hawaiian-inspired eats in a shiny metal food cart. 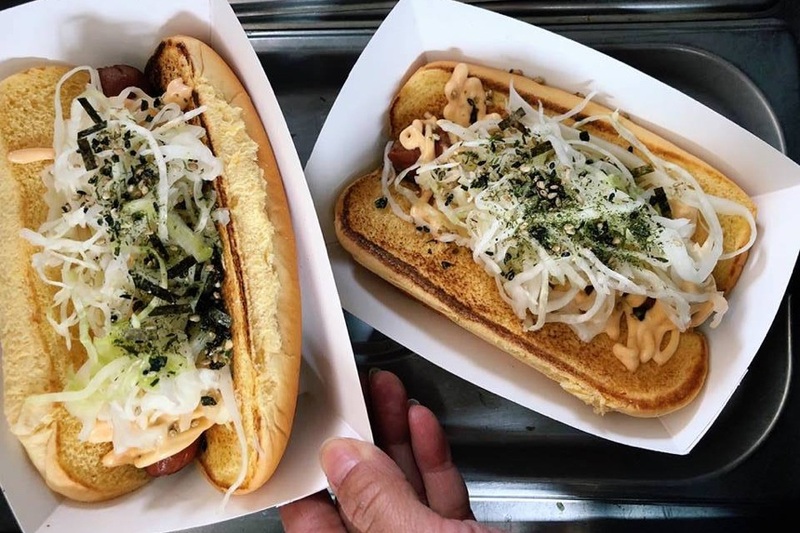 Now, the only place you can get their shoyu hot dogs — cooked in sugar and soy sauce, then topped with pickled cabbage, sriracha mayo, and furikake and served on a potato bun — is from the cart, which they bring out for occasional events around the city. Nick Elmi’s French brasserie offers a luxe footlong hot dog on its late-night menu: the Royal Dog is made with boudin blanc and topped with sauerkraut, crispy onions, and mustard. 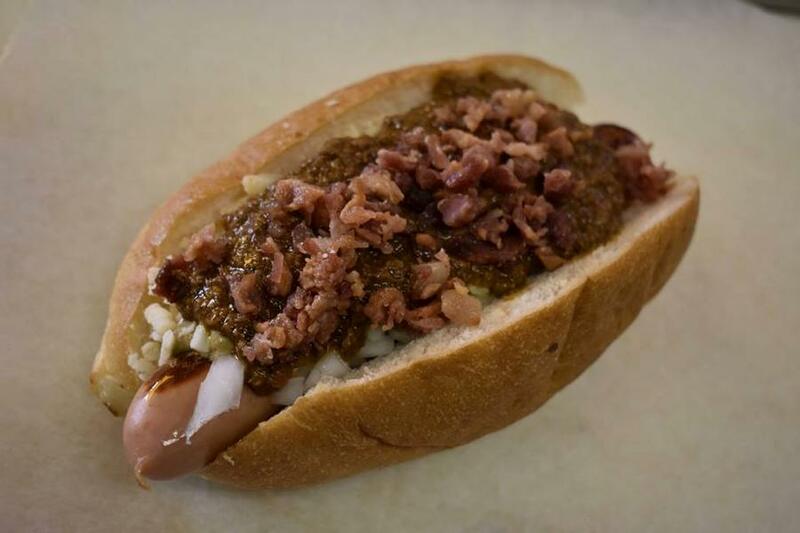 South Philly may be out of luck when it comes to Texas Wieners, but the unaffiliated A.P.J. at 47 North 13th Street — which opened in 1922 — serves them the same style, with that iconic spicy brown sauce. The good folks at Miller’s Twist will wrap just about anything in their buttery, tender soft pretzel dough — including hot dogs. Get them jumbo-sized or in miniature form as pigs in a blanket. 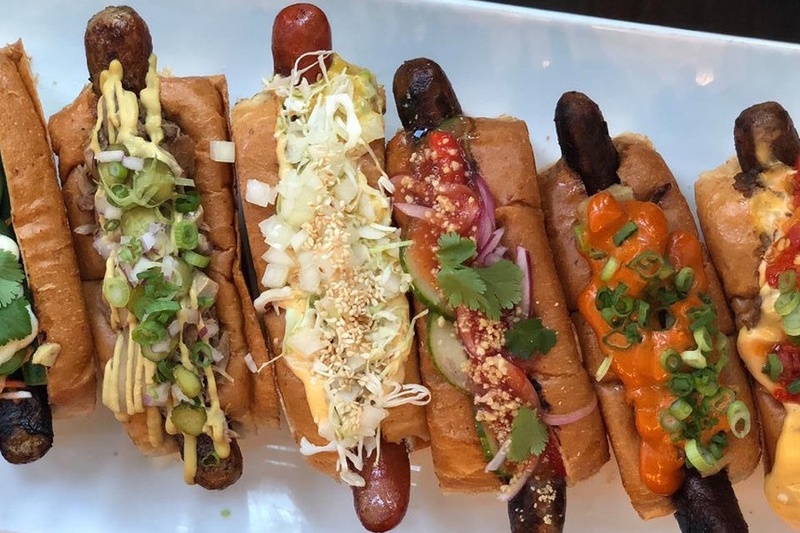 This restaurant and bar tops the humble hot dog with ingredients from cuisines all over the world: the New York all-beef dog comes with chili, onions, and spicy brown mustard, while the One Bite in Bangkok dog is made with python sausage (really) topped with cucumber salad, pepper jelly, crushed peanuts, and cilantro. You won’t find it on their menu, but chef Doreen DeMarco serves up footlong corndogs as well as an ever-changing hot dog of the week special — like the Garden State Dog, topped with tomato jam and roasted corn salad, or the Hoagie Dog, with hoagie relish, lettuce, tomato, onion, and American cheese — at the Bancroft Street brewpub. Look beyond the tacos at Loco Pez for El Menu Vaquero — the cowboy menu — which includes the Street Dog, a bacon-wrapped wiener topped with pico de gallo, jalapeno, beans, ketchup, mayo, and mustard as well as a version topped with their house-made chili. Is a hot dog a sandwich? Only at Paesano’s, where the Tuscan Tony is stuffed with a sopressata-wrapped all-beef frank, bolognese, provolone, and hot pepper relish. 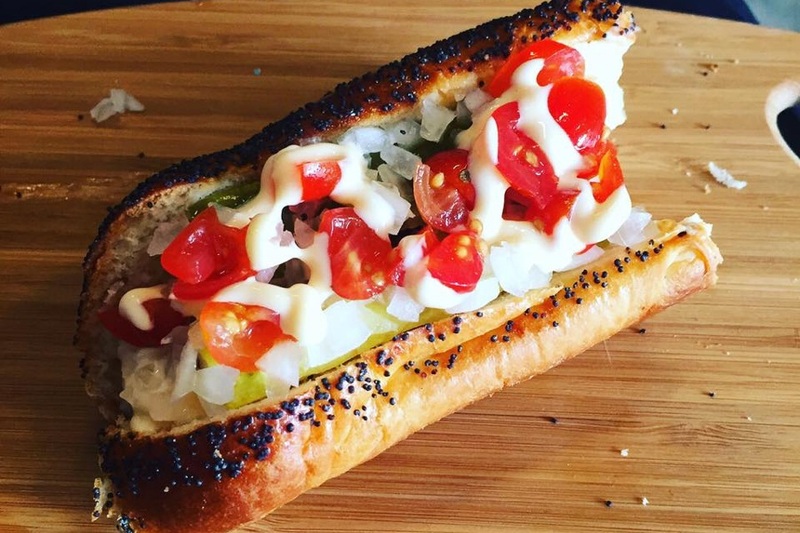 Now that Memphis Taproom’s beer garden no longer serves hot dogs (much to our dismay), Lucky’s just might have the biggest menu of dogs in the city with eight styles, topped with everything from pulled pork and mustard-based barbecue sauce to provolone, sautéed mushrooms, and garlic aioli. The little sister of the Cedar Park pizza and beer emporium focuses on cocktails, but their food menu, with a local artisan cheese plate, pretzels made with spent grain from the brewery, and all-beef hot dogs topped with onion and chopped tomato. This Reading Terminal Market comfort food spot is conveniently located on the market’s Center Court, with a menu of dogs, wursts, and bacon-and-cheese-swaddled Texas Tommies. This Colombian fusion brunch spot at 3rd Street and Cecil B. Moore Avenue offers their take on the American classic with their Medellín-style chorizo dog, topped with house-made cole slaw, red sauce, and crushed potato chips. This old-school hot dog shack across from Penn Treaty Park mostly caters to truckers, hence its early-morning hours. If you’re not up and about a 4:30 a.m., though, you can still get a unique-to-Philly classic – a hot dog served with a fish cake in the bun — as late as 3 p.m. The fast-casual icon might be known for its burgers, but it started out as a hot dog cart. The Shack splits and griddles its beef dogs on the flat-top for extra crispy, meaty goodness — and serves them on a Martin’s potato roll, of course. Lenny’s locations used to be all over Philly — and while they’re long gone in the city, you can still get their fish cake combos, Texas Tommies, and variations named for city sports teams up in Bucks County. This neighborhood dive under the El doesn’t really serve food, but their no-frills dogs will keep you going when you need it most — be it Monday night karaoke or a boozy summer evening on the backyard patio. Ask for the Kensington Happy Meal before 7 p.m. and you’ll get two dogs, a bag of chips, and a PBR pounder for just $5. This Shore staple serves its traditional German beef-pork-veal dogs with 29-plus different toppings, with everything from standards like chili and mustard to horseradish, sautéed baby spinach, and beer-soaked kraut on offer.